To support Hillary Clinton, Katie McGinty, Josh Shapiro, and the rest of the Democratic ticket running in Pennsylvania, Democratic Jewish Outreach Pennsylvania (DJOP) will be running ads in the Jewish Exponent, the Philadelphia Jewish Voice, and The Philadelphia Inquirer urging Jewish voters to get to the polls on November 8 and vote Democratic. A draft of our ad appears on the right; click to enlarge. For those of you who have already contributed to our campaign, our sincere thanks! If you haven’t contributed yet, or if you want to increase your contribution, you can donate right now by clicking here. Why should you donate to our ad campaign? 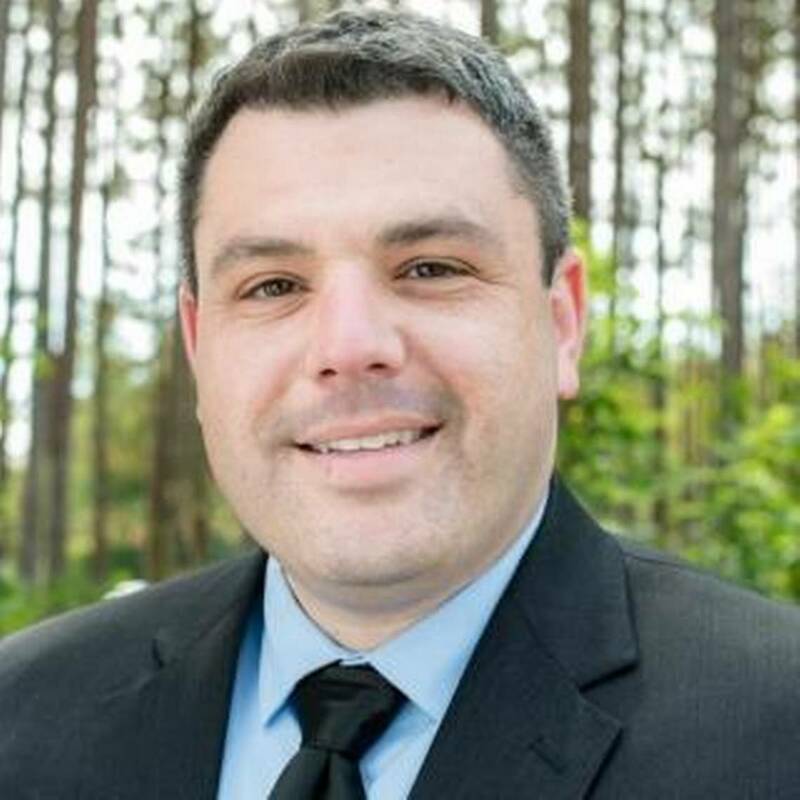 Besides the obvious answer – to help elect Hillary Clinton and other Democratic candidates – donating to the DJOP campaign offers you a tremendous return on your investment of $50, $100, $250, or more. Why is this? For one thing, you know exactly how your contribution will be spent. Second, we’re not attempting to raise millions of dollars. Our goal is to raise $12,000, so every contribution we receive is significant. Lastly, our ads are targeting people like you who can make a real difference in the outcome of the election. Although we are a relatively small community, we may be the deciding group in Pennsylvania, and as many experts are saying, as Pennsylvania goes, so goes the election. Hillary currently leads Trump 61% to 19% among Jewish voters nationwide. (See results of AJC Survey of American Jewish Opinion.) But this will only matter if everyone in our community goes to the polls on November 8. 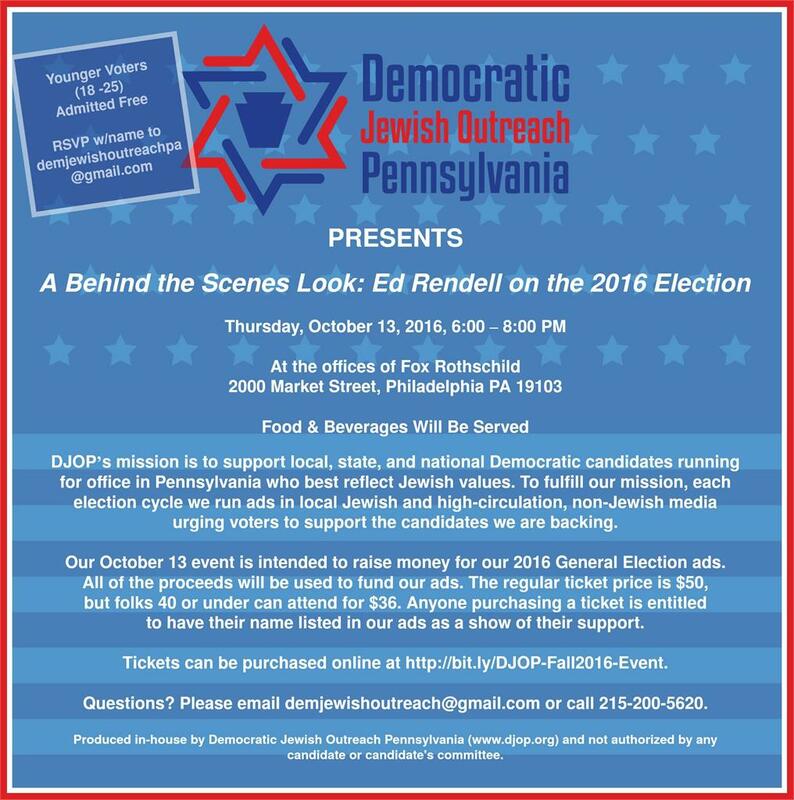 That’s why our ad campaign is so important, and why we need your help.Your contribution of $50, $150, $250, or more to Democratic Jewish Outreach PA will be used exclusively to purchase ads for the 2016 election cycle. To boost the credibility and persuasiveness of the ads, the names of all contributors will be listed, unless you request otherwise. You can contribute online by clicking here. You can also donate by mailing a check, made payable to DJOP, c/o David Broida, 55 Booth Lane, Haverford, PA 19041. Our great nation is truly at a crossroads. Through our combined efforts, we can elect Hillary, Katie, Josh, and the rest of Pennsylvania Democratic ticket. Thank you in advance for supporting Democratic Jewish Outreach of PA’s plans to do just that. P.S. Our ads will start appearing the last week of October. We need your contribution by October 15 to determine exactly how many ads we can buy, and to guarantee your name will be listed. So click here to make your contribution while it’s fresh in your mind.